BI + Analytics Conference #BIAConf – Why Go? The BI + Analytics Conference will be in Nashville in less than two months (August 7-9). This year Eventful Conferences is producing the event. It will be the 10th year ASUG has held this event; it began back in 2008 at the Hilton Anatole in Dallas. Be sure to check out the conference brochure. The conference producers give you 5 great reasons to attend but I offer some of my own below. This conference is known for its hands-on sessions, and this year is no exception. 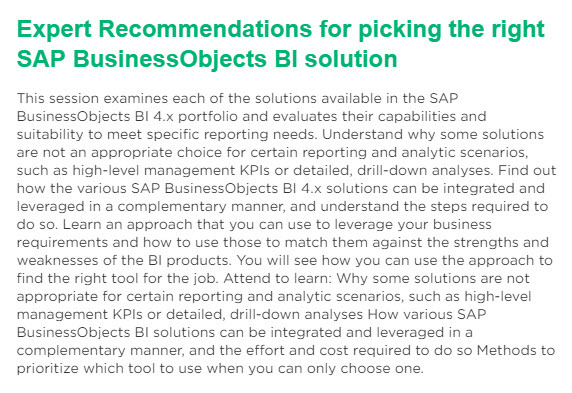 There are hands-on sessions for BI platform, Predictive Analytics, Lumira Designer/Discovery, and more. Last year the sessions were completely full, with waiting lists. In speaking with Kyle Tate, Conference Producer, last month, he indicated the Lumira sessions were filling up. You can see all the speakers here. Some are from SAP but many are customers telling and sharing their stories. You can also check out the agenda here. Given that the Nashville Predators are playing in the Stanley Cup, wouldn’t it be interesting to hear from the NHL? 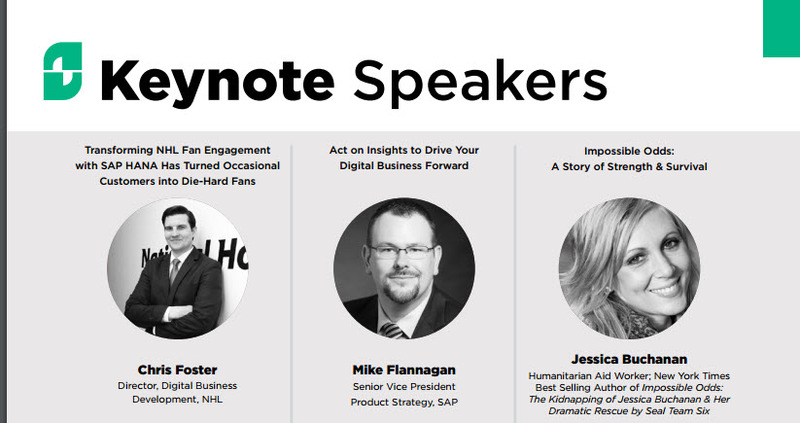 This will also be the first time Mike Flannagan, SAP SVP, will keynote at the conference. I’m sure you’ll be mesmerized by Jessica Buchanan’s story of being rescued by Navy Seals. You can network with your peers, SAP, partners, and learn from them. You can share lessons learned, exchange information, and perhaps share your knowledge. There are plenty of opportunities to network, starting on the first day of the conference with a networking reception. Many of us fear visiting the show floor, not wanting sales pitches. However, vendors, partners, and sponsors have insight into the business as they work at several customers. Be sure to visit the exhibit hall and sponsors. Can I get a “Wahoo”? 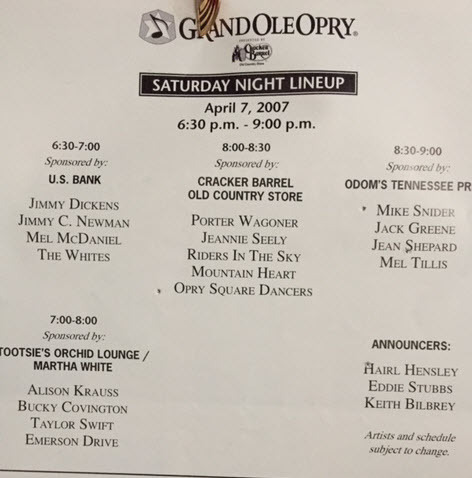 Charlie Daniels can give you some more tips here. I’ve had the opportunity to visit Nashville Music City Center, and it’s an impressive site. Have you added this to your calendar yet? The early bird discount ends June 23.